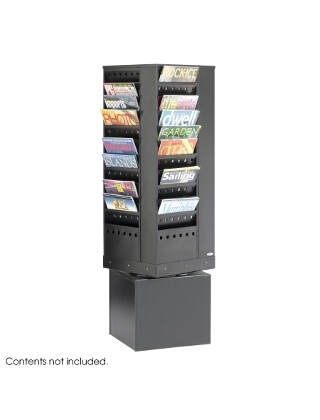 Increase your storage and advance your display with the Steel Rotary Brochure Rack. Ideal for reception areas or waiting rooms. Textured powder coat finish. Ships fully assembled. Steel Rotary Magazine Rack is four sided and rotates 360 degrees for total access to all literature.